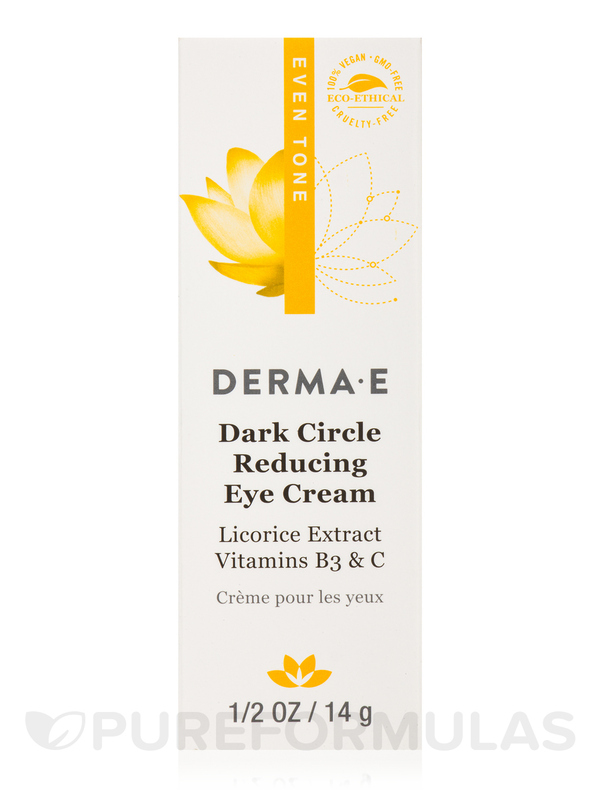 I have dark circles around my eyes and small bags from a medication I have to take daily; Evenly Radiant Dark Circle Eye Cream by Derma E helped immensely with both of these issues within the first week of use! 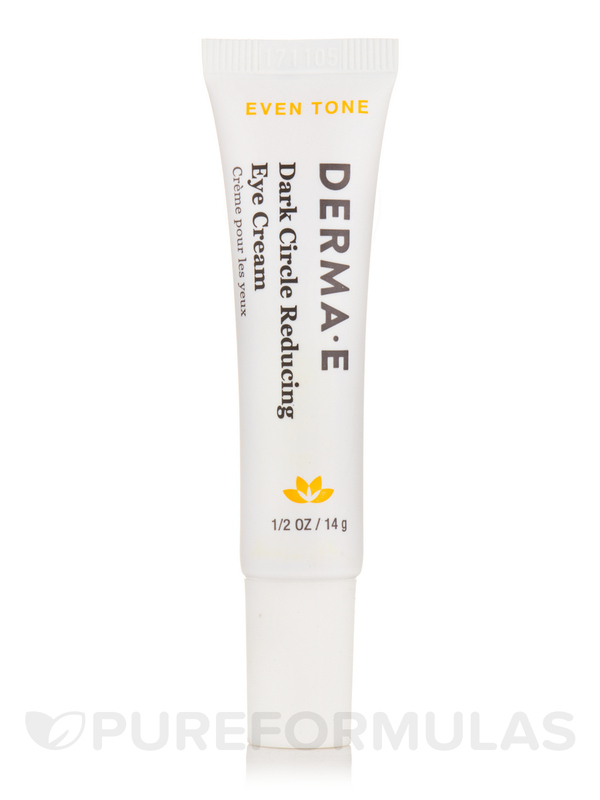 I believe that Evenly Radiant Dark Circle Eye Cream by Derma E works with dark circles, and helped with my eye wrinkles also works for puffiness too! 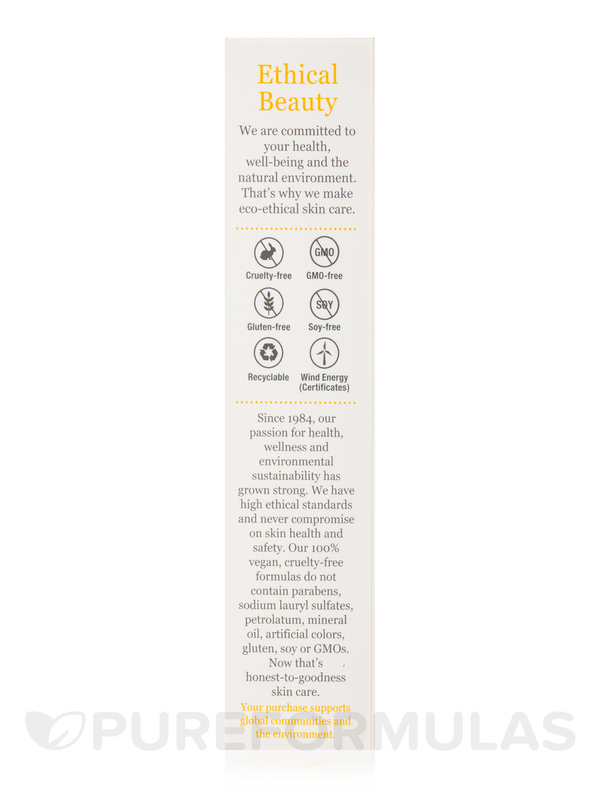 Diminish the look of dark circles‚ fine lines‚ wrinkles and puffiness with this skin-brightening eye cream. 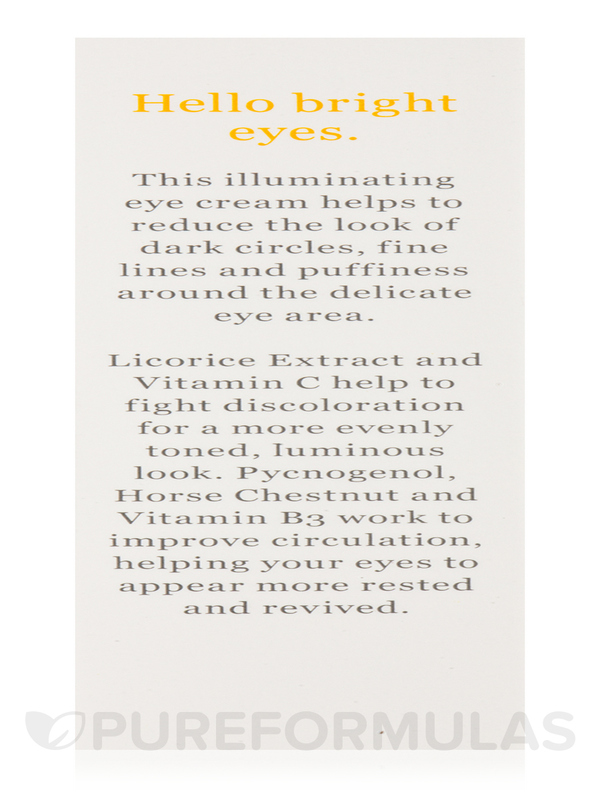 Formulated with Intensive Skin Brightening Complex containing Madonna Lily Plant Stem Cells‚ Bearberry‚ Niacinamide‚ Licorice and Green Tea to help fight discoloration for more a more evenly toned‚ luminous eye area. 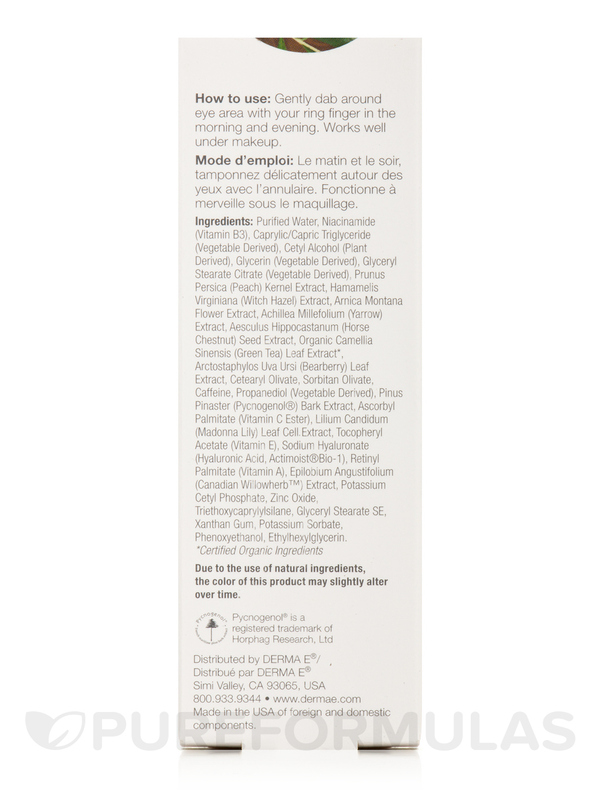 Enriched with Pycnogenol®‚ Horse Chestnut and Yarrow -- ingredients shown to help diminish dark circles caused by poor circulation. 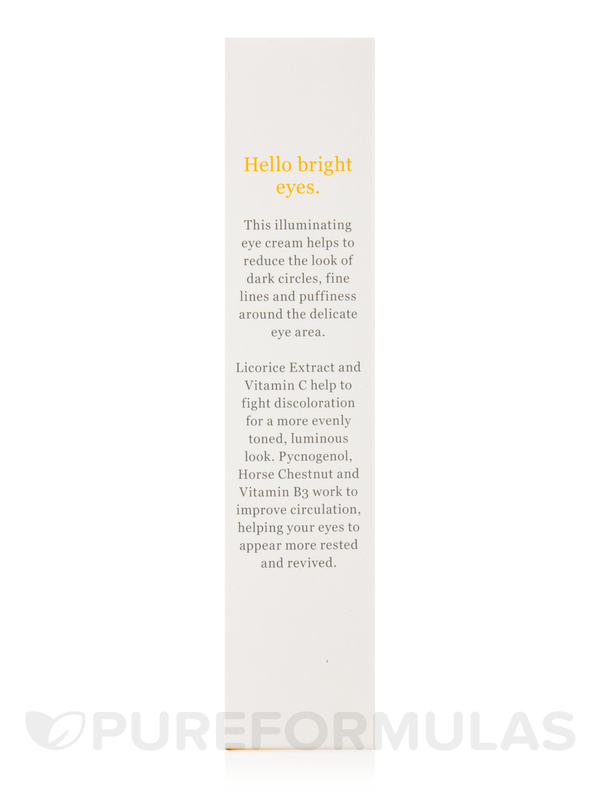 Ideal for all skin types experiencing tired‚ dark-circled eyes‚ this formula enlightens the entire eye area to appear brighter‚ well rested and radiant. Purified Water‚ Niacinamide (Vitamin B3)‚ Caprylic/Capric Triglyceride (Vegetable Derived)‚ Cetyl Alcohol (Plant Derived)‚ Glycerin (Vegetable Derived)‚ Glyceryl Stearate Citrate (Vegetable Derived)‚ Prunus Persica (Peach) Kernel Extract‚ Hamamelis Virginiana (Witch Hazel) Extract‚ Arnica Montana Flower Extract‚ Achillea Millefolium (Yarrow) Extract‚ Aesculus Hippocastanum (Horse Chestnut) Seed Extract‚ Organic Camellia Sinensis (Green Tea) Leaf Extract*‚ Arctostaphylos Uva Ursi (Bearberry) Leaf Extract‚ Cetearyl Olivate‚ Sorbitan Olivate‚ Caffeine‚ Propanediol (Vegetable Derived)‚ Pinus Pinaster (Pycnogenol®) Bark Extract‚ Ascorbyl Palmitate (Vitamin C Ester)‚ Lilium Candidum (Madonna Lily) Leaf Cell Extract‚ Tocopheryl Acetate (Vitamin E)‚ Sodium Hyaluronate (Hyaluronic Acid‚ Actimoist®Bio-1)‚ Retinyl Palmitate (Vitamin A)‚ Epilobium Angustifolium (Canadian Willowherb™) Extract‚ Potassium Cetyl Phosphate‚ Zinc Oxide‚ Triethoxycaprylylsilane‚ Glyceryl Stearate SE‚ Xanthan Gum‚ Potassium Sorbate‚ Phenoxyethanol‚ Ethylhexylglycerin. 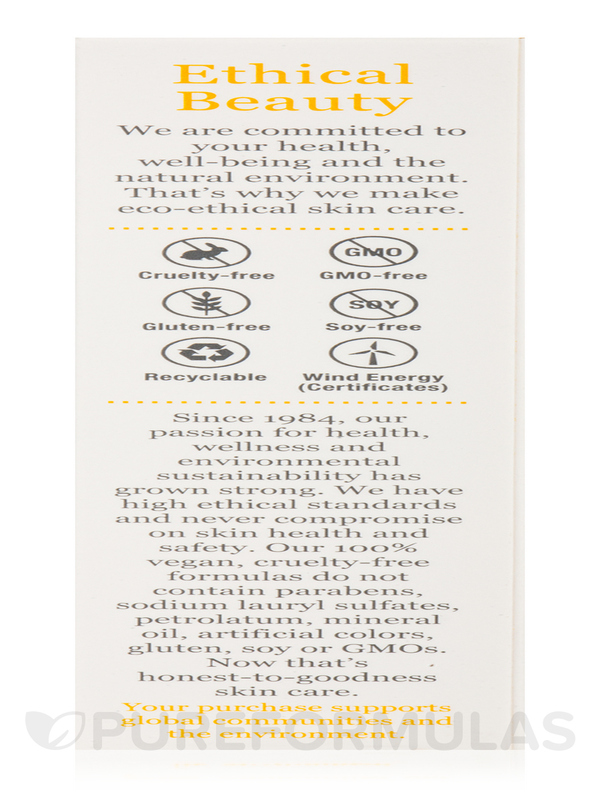 Vegan / Vegetarian / Non-GMO / Cruelty-Free / Soy-Free / Gluten-Free. 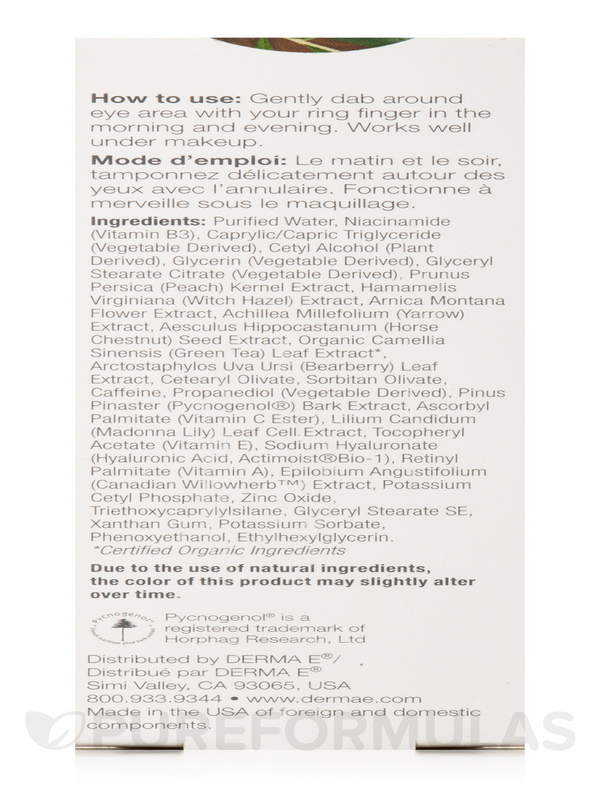 Gently bad around eye area with your ring finger in the morning and evening. Works well under makeup. If you have an olive complexion, dark circles can be a constant problem. Here is your answer. 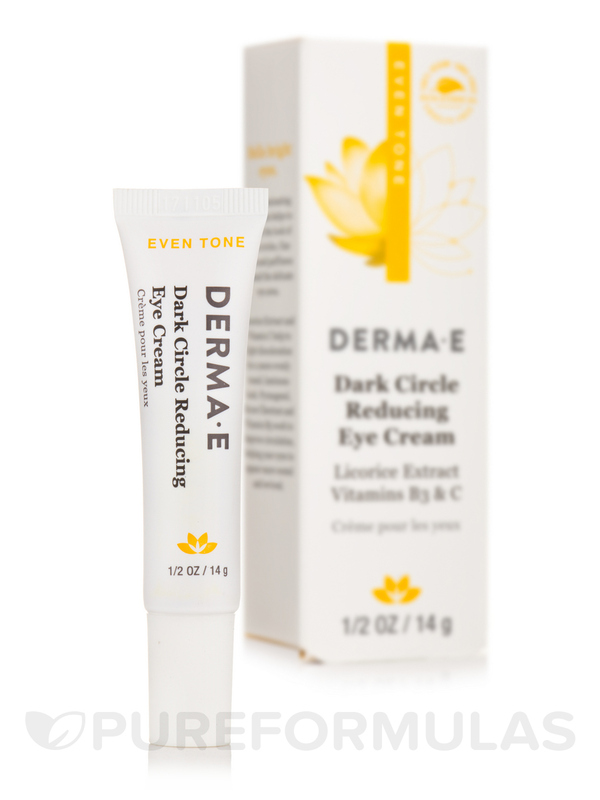 Evenly Radiant Dark Circle Eye Cream by Derma E feels soft and silky to apply and erases dark circles immediately. I would suggest slipping it into your purse for touch ups. Better to carry this with you for reapplication. Derma E Eye Cream works!! Smell, works on getting rid dark circles! When I ordered this product for my dark circles under my eyes, I was hoping for a good outcome. Unfortunately, while it seems to be working for the dark circles all the while causing wrinkles where there were non before. I have stopped using it. While it helps with the dark circles I have to weigh out whether having the dark circles or wrinkles. What a conundrum. It makes the under eye feel good and works on dark circles. It seems to be causing wrinkles under the eyes. Works fast and works well as it says! Not a gimmick! 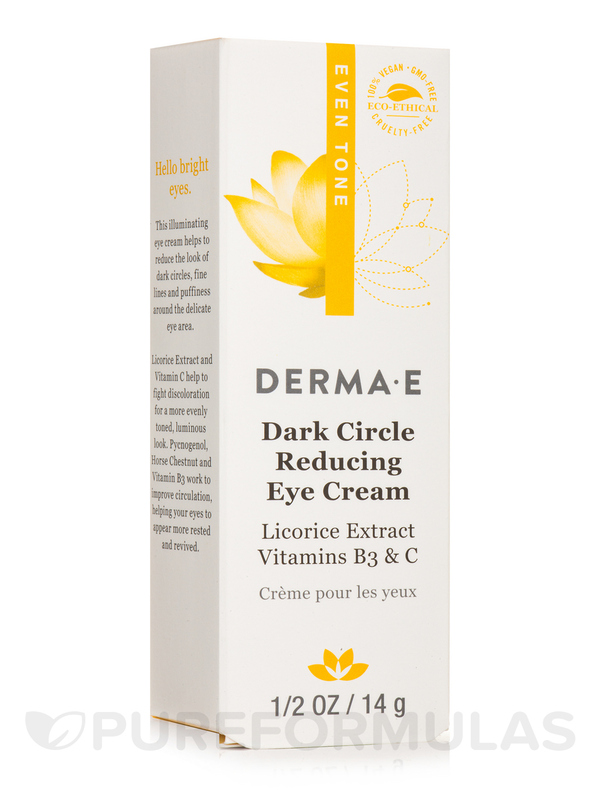 A friend recommend Evenly Radiant Dark Circle Eye Cream by Derma E to me. Have bad circle under my eyes. After 2 weeks it's much better. 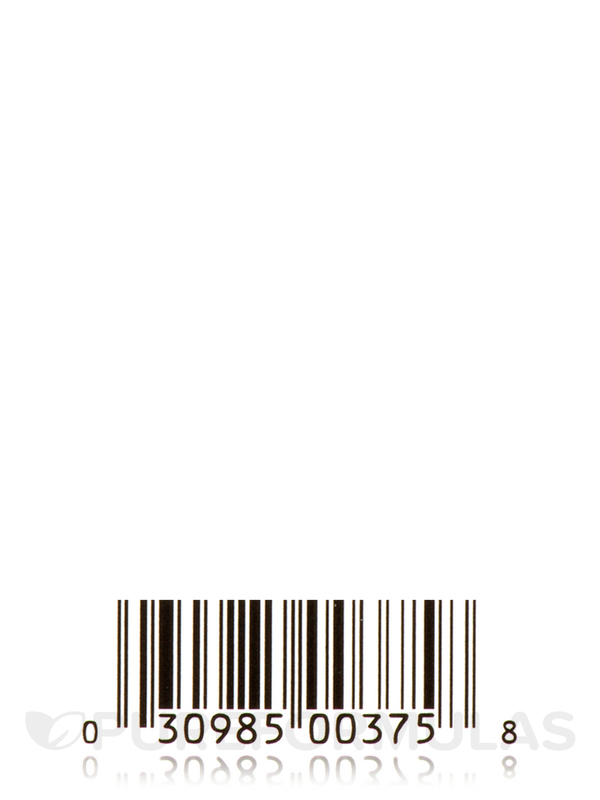 The lines are finer.